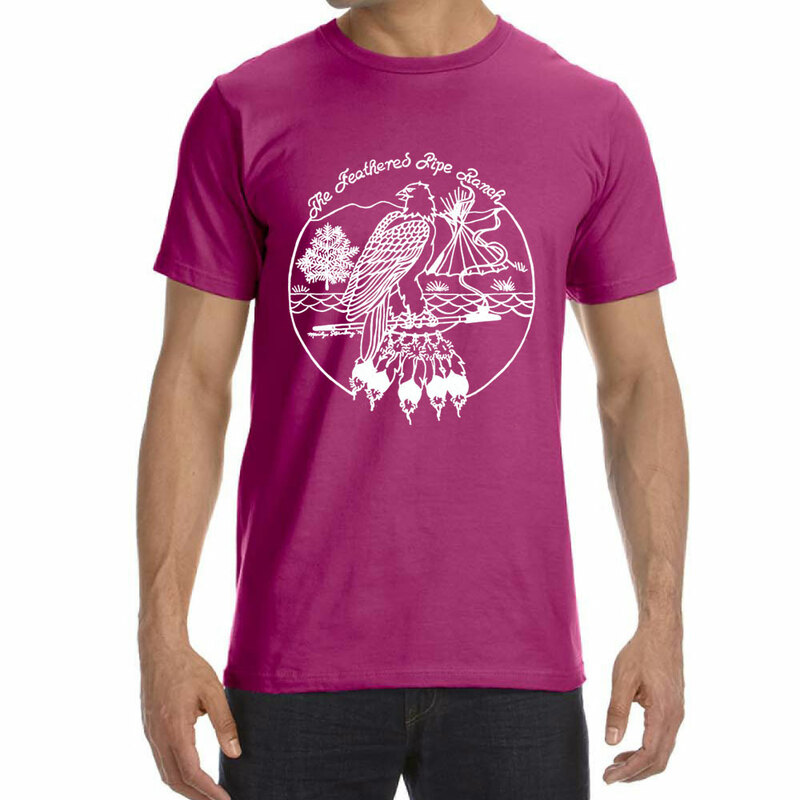 4.5 oz., preshrunk 100% certified organic combed ringspun cotton, raspberry with Feathered Pipe Ranch retro design. Unisex. The original Feathered Pipe Ranch t-shirt design was drawn by Marilyn Sternberg in 1976. It graced the front of many t-shirts through the mid-1980s when the Feathered Pipe Ranch switched to a new logo design. Since it is such a fun design we decided to revive it and put it back where it deserves to be admired by conscious people around the world.